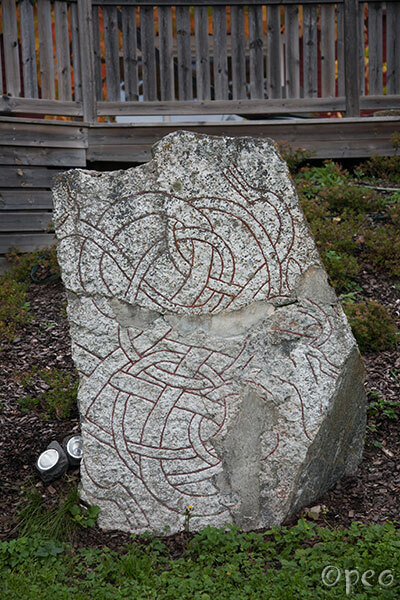 Only a part of the design remains of this fragment of a rune stone. Ástríðr/Ásrøðr had this stone raised in memory of Heðinfastr, her father; and Auða in memory of her husbandman and in memory of Auðgerðr, her daughter. 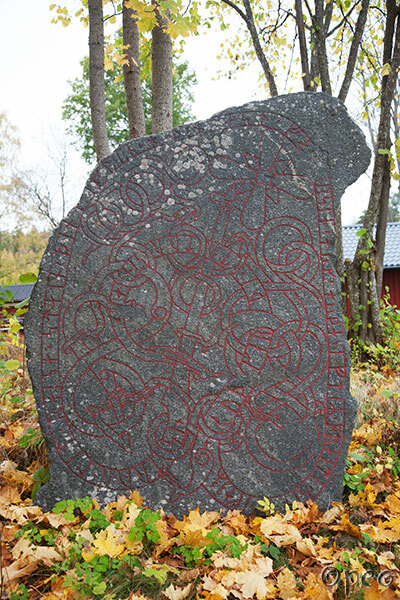 These rune stones are standing about 65 meters apart.